A group of pioneers, with limited means but clear ideas of driving forward developments in the field of animal husbandry, and safeguarding the health of animals and therefore, as a consequence, human health. From these beginnings the Istituto Zooprofilattico Sperimentale dell'Abruzzo e del Molise was born, the youngest of the Italian institutes created by the Decree of the Interior Ministry of 2 September 1941, which gave it the title "Interprovincial Zooprophylactic Institute of Teramo and Ascoli". The objective was to provide technical assistance and laboratory diagnostic support to vets and livestock rearers in the struggle against animal diseases. At the end of 1945, while the lacerating wounds of the Second World War were slowly healing, the first director, Raffaello Zeetti, was supported by a staff of five with modest premises occupying barely 30 square metres. Exactly a year later, in December 1946, an invitation to direct the Institute was made to a young Abruzzese vet who already had a great deal of experience, having served as Assistant at the Zooprophylactic Institutes of Perugia and Turin. 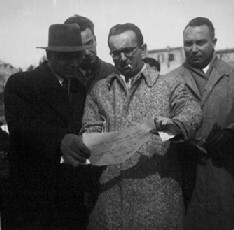 Giuseppe Caporale was the true architect of the development of the Institute to the point where in 1947 he succeeded in having the neighbouring Provinces of Chieti, L'Aquila and Pescara join the Consortium, thus creating the Avezzano, Lanciano and Pescara sections, as well as that of Porto San Giorgio (Province of Ascoli Piceno). At that time, the Institute's fight against infectious diseases had to be self-financing, by means of the production and sale of vaccines, serums and diagnostic products. In 1949 the Institute achieved its first goal with the inauguration of the new headquarters, an impressive building on three floors on the edge of the historic centre of Teramo, where the central HQ of the Istituto G. Caporale is still located to this day. The next year, the struggle against animal subfertility, with which the Institute has always been concerned, led to the foundation of the Tori Centre for animal fertilization. Year after year, the hard work of the entire staff, together with the altered socio-political conditions, and the desire to escape from the muddy swamp of the after-war years which led to the economic boom, made the Teramo Institute a vital piece in the jigsaw of veterinary medicine in Italy. By virtue of Law no. 503 of 23 June 1970, "Regulation on Experimental Zooprophylactic Institutes", the Institutes acquired the title of "Health institutions endowed with legal personality and governed by public law", and finally the doors of the National Health Service, which up to then had been locked, were opened to them. Law no. 503 of 1970 was amended four years later by Law no. 101 of 11 March 1974 which, among other things, introduced a number of important territorial modifications. Specifically, the Teramo Institute extended its jurisdiction over the provinces of Isernia and Campobasso, becoming the Istituto Zooprofilattico Sperimentale dell'Abruzzo e del Molise. The subsequent Law no. 745 of 23 December 1975, "Transfer of State functions to the Regions and fundamental rules for regionalized restructuring of the Experimental Zooprophylactic Institutes" brought in a number of noteworthy innovations such as the institution of new provincial sections and a higher level of employment. On 11 April 1976, after exactly 30 years running the Institute, Giuseppe Caporale suddenly died, leaving all the Institute's employees suddenly bereft. The directorship was taken over by the longest-serving Assistant director, Francesco Gramenzi, who soon demonstrated the difficulty of continuing the implementation of the programmes of work left uncompleted by his illustrious predecessor. In 1978 the Institute was duly named after the person who had made the most significant contribution to its success, taking the title, which it retains to this day, of the Istituto Zooprofilattico Sperimentale dell'Abruzzo e del Molise "Giuseppe Caporale". For almost the whole of the subsequent decade, the Institute steered a course between a thousand difficulties of a purely financial nature. Stagnation, due among other things to unusual political conditions, had an effect on the activities of the Institute, which shrank to the level of ordinary administration and daily routine, leaving research, experimentation and scientific cooperation to take second place. In the Technical report for 1987, director Gramenzi complained especially that a scientific institute could not be "embroiled in bureaucratic tangles with increasingly intricate political and administrative ramifications", and went on to draw attention to the serious dysfunctions involving the staff "at a difficult time for the Institute which seems never to end". The trend in staff numbers is emblematic in this context. Over the previous ten years it had undergone an imperceptible numerical change: from 95 employees in 1978, staffing levels had grown to only 108 in 1987. Financial difficulties and sometimes unclear legislation were only some of the aspects which characterized the life of the Institute in the 80s. The entire decade had been marked, in all fields, by profound political, social, scientific and above all technological change, which swept away the equilibriums which had prevailed up till then. The approach of the Single Market (1992) forced a period of enforced reflection about their roles and functions on all the elements of the Italian veterinary profession, of which the Experimental Zooprophylactic Institutes were the pride and joy. Reflection was followed by a redefinition of the role of the entire network of Institutes, which found itself suddenly facing the demands of a completely altered market, unprepared to respond to the new needs in veterinary public health which were beginning to emerge powerfully in the country. Previously, it had been perfectly clear who the users of the Institutes were: they were the small organizations of livestock rearers and producers of foods of animal origin who operated in the area immediately around the individual Institute. From the end of the '80s, however, the clientele had diversified to incorporate consumers, producers of goods and services for livestock rearing, the agricultural and eco/environmental sectors, and many administrative departments such as the Ministry of Health, the Local Health Authorities and the Regions. This change was followed by the invasion of the market by large, technologically advanced groups, organized down to the last detail and often capable of doing without the support of the public veterinary services. Add to this the fact that that the funding criteria for the Zooprophylactic Institutes heavily penalized the Teramo Institute, because financial resources were allocated on the basis of the size of the territory covered, and the Istituto G. Caporale had always operated in the area of Italy with the lowest human and animal population. The precarious economic situation was not, however, the only problem to be dealt with, even if it was the most serious. The Institute's dependent status in relation to local political power, and the ageing profile of its staff, which led to a mass retirement, weighed heavily on every aspect of its life. The inevitable result was the progressive loss of know-how and progressive obsolescence in the working facilities and equipment. Pulling out of this dangerous deadlock required a new corporate policy supported by a clear fundamental strategy. The decisive shift came following changes at the top and the nomination of Vincenzo Caporale as director, who succeeded in putting into practice his innovative ideas for company reorganization, relying on his strong sense of belonging and on the professional pride of the Institute's staff. Between 1988 and 1990 the Institute thus began a process of rational development through experimentation with new structures and the creation of a dynamic and flexible organizational model to deal with the continual changes in the external environment. The strategy which characterized the Institute's modus operandi was stamped especially on its institutional culture, which changed from being "bureaucratic" to being "corporate" in order to achieve maximum efficiency in all its activities. While keeping faith with its function as a public body delivering services in veterinary public health, the new management abandoned the concept of Institute/User in favour of that of Producer/Customer, in order to ensure that it was delivering goods and services which genuinely satisfied the demands of its internal and external clients. 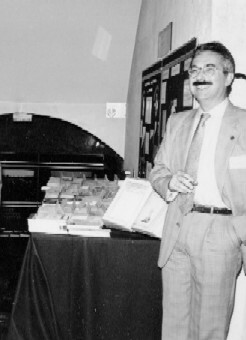 Over the course of the 1990s, the Istituto G. Caporale never rested on the successes it had achieved, but continued on a constant course of dedicating increasing resources to research, improvement and technological and other innovation in its methods of governance and management. It concentrated increasingly on training, with programmes designed specifically to meet the needs of its staff and its external clients, and developed IT systems capable of generating the information necessary for running the Institute and for evaluating the efficacy and efficiency of its activities. To tell the truth, the policy of innovation which was followed in the late '80s and early '90s was ploughing a furrow which had been started in the '50s when the Institute founded the first clinic for pets (they were called "small animals"), the first centre for artificial insemination of cattle in South Central Italy, the first chemical laboratory at any of the Experimental Zooprophylactic Institutes, and the magazine Croce Azzurra ('Blue Cross'), later to become Veterinaria Italiana, which for more than twenty years publicized the scientific output of all the Experimental Zooprophylactic Institutes. It should not be forgotten either that the Institute was also the first veterinary centre in Italy to institute a serology laboratory, and that it created the first laboratory of veterinary epidemiology in the 1970s, ten years earlier than any of the other Italian veterinary institutes. Having started from a few initial pioneers, the Institute currently employs almost 500 people. It has gone from 30 square metres to today's 5,500 square metres. Starting from the single establishment at Teramo it now has five diagnostic sections (Avezzano, Campobasso, Lanciano, Isernia and Pescara), as well as the Regional Centre for Fishing and Aquaculture (Termoli) and the International Centre for Veterinary Training and Information (Pineto). Quite apart from the story, or history, of the organization, it is these numbers which define the G. Caporale Institute: a reference centre at national and international level.